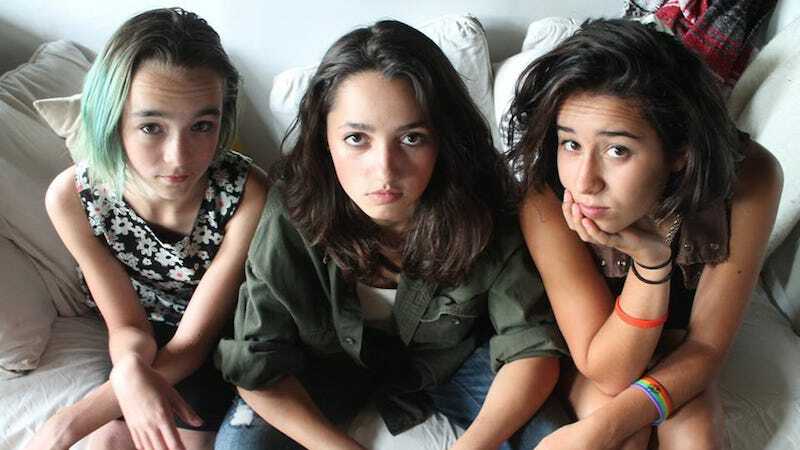 Kalliope Jones, a band made up of three young teenage girls, competed against other 12-to-16-year-old musicians Massachusetts’ Tri-County Fair Battle of the Bands this weekend. The sole male judge on the panel reportedly took points away from the band in the “Stage Presence - Showmanship” category because the girls weren’t sultry enough and that is what girl performers are supposed to be. On his scorecard, the unidentified judge wrote: “ ♥ the sultry in bassist voice + Guitar singer’s too... Use the sultry to draw in the crowd.” He then gave them a bonus point because “Chicks Rock.” The band won third place. We then asked if they had made similar comments to any of the bands that were made up of only boys. They said, “Oh, no. It is a completely different thing.” Actually, it really isn’t. This conspicuous act of sexist and stereotypical thinking was deplorable and pathetic. The event organizers did not immediately respond to request for comment from MassLive. This is the band. I feel jealous of how good they are.